I purposely did not look at my 2015 reading list after making it just to see how well I would stick to it without reminders, or to see how far off track I would get. Let’s see how I did. Tiny Beautiful Things – I’ve been reading one letter every once in a while before going to sleep. More than half-way done. No Turning Back: Surviving the Linehan Family Tragedy by Ina Linehan Young – This is one I read but didn’t review. The story is horrifying and heart-breaking, but I had a few issues with the writing/editing. Canada’s Great War Album – I got it out in November and read through a lot of it. But, I saved some for this year, too. I read 4 out of the 5 books for Canada Reads this year: The Inconvenient Indian, When Everything Feels Like the Movies, Ru, and And the Birds Rained Down. I read all 8 Anne books for the Green Gables Readalong. I only read about 4 books for my A-Z CanLit Project list. I’m currently on letter ‘Q’. Not bad. Most of the books I did read were winners. But, there are also a lot of good ones I didn’t read. Let’s try it again. All of the above books that I didn’t get read last year, all of which I own. 2. The rest of my A-Z CanLit Project. I might not own all of these. My next one will be Paul Quarrington’s King Leary, which I do own. 3. For the Woolfalong, I’m hoping to read Mrs. Dalloway. 4. For Reading New England, I’m hoping to read Olive Kitteridge by Elizabeth Strout and The Secret History by Donna Tartt. 6. 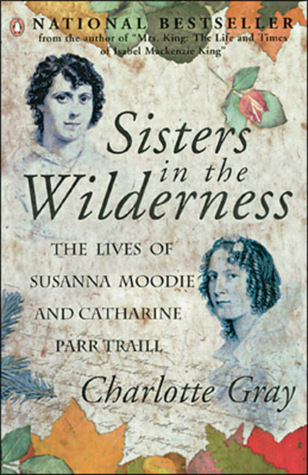 Sisters in the Wilderness by Charlotte Gray and Roughing It In the Bush by Susanna Moodie. 7. 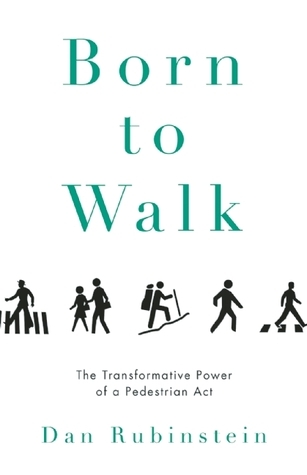 Born To Walk by Dan Rubinstein – Because I was born to walk. 8. 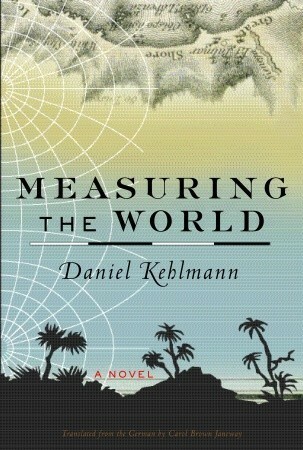 For 12 Germans in 2016 I’m hoping to read Measuring the World by Daniel Kehlmann, and along with it The Invention of Nature by Andrea Wulf. 9. 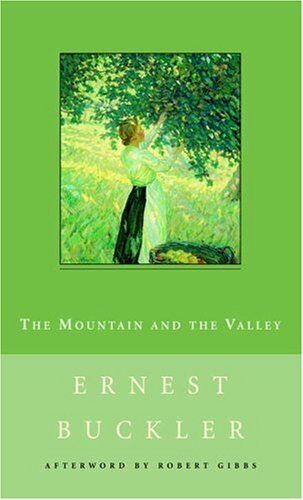 For Reading Ireland Month I’m hoping to read at least one book by an Irish writer. I own Let the Great World Spin, but I really want to read one of Maggie O’Farrell’s books. Who knows, maybe I’ll fit them both in. 10. The Canada Reads shortlist (5 books), which hasn’t been announced yet. But, here’s the longlist – three of which I’ve already read (Sweetland, The Illegal, and Station Eleven). I’m especially interested in Birdie, Bone & Bread, and Minister Without Portfolio, but they all look good! 11. I also have my eye on this list of new Canadian releases coming out this year (but I don’t plan to read them all!). I just finished Elizabeth Strout’s new book, which has made me want to go back and read Olive Kitteridge…I’ve had it on my TBR list forever! Good luck with this year’s books! I’m going to assume from your comment that you thought her newest book was good! Have you read any of her others? A friend once recommended Abide With Me. Well done, Naomi! My library doesn’t have Tiny Beautiful Things, so reading it will have to wait. Do you like what you’ve read so far? Since you are reading Measuring the Word (and The Invention of Nature) with me, will you let me know when you pick up Olive Kitteridge? I’ve been meaning to read it for Reading New England, too. And CJ and I are reading Roughing It in February; will you join us? I saw that CJ was also planning to read Roughing It – yes, I will join you! Are you just taking the whole month to do it, and then posting at the end of the month? 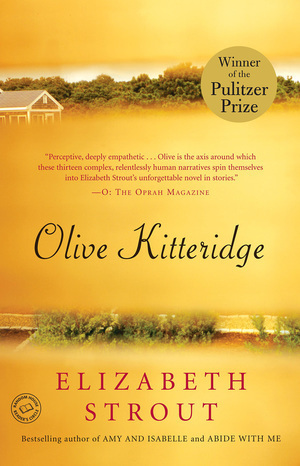 I’m hoping to read Olive Kitteridge sometime in January or February. I will let you when I’m thinking it’s time! CJ and I haven’t gotten very specific with our plans to read Roughing It; we only agreed to read it in Feb. So yes, I think we’ll read throughout the month and post at the end of it. Glad to hear you’re enjoying Dear Sugar; there’s so much enthusiasm for it. Ok, that sounds good (about Roughing It)! People really love Dear Sugar and I can see why. There are lots of it that I love, but there a few things about it that bother me too. It’s better for me to read it in small doses, because of it. Nothing big, just little things like when she calls her writers endearments like sweet pea – it doesn’t sound sincere to me. But maybe that’s how she really is – I don’t know her. But I would definitely not discourage anyone from reading it because of that! You read a lot of good stuff! Olive Kitteridge is so well done. Tiny Beautiful Things is on my list too. I might have to find a used copy so I can read it in your style! It is nice not to have to race through it! I’m still setting my 2016 reading goals, you’ve given me some ideas. If you do decide to read Never Let Me Go and All the Light We Cannot See you will not be sorry! Looking forward to hearing your thoughts on books this year! I really hope I can finally get to those books. All the Light You Cannot See sounds like just my thing. I don’t why it takes so long sometimes to get around to certain books. I guess it’s because there are just so many, which is a good thing! I think you did very well! I tried making a list once but I veered off course so drastically…I think I was very distracted by new books that came out that year. I have so many to-reads for 2016 but one set I’m eager to try is Elena Ferrante’s Neapolitan novels. I was never interested before – admittedly because I didn’t like the covers (!) but I have heard enough rave reviews that now I really want to see for myself. Have you read them? It’s funny to hear that you were put off by their covers at first, Cecilia, because so was I! I wonder how many others had the same problem? I haven’t read them yet, but I do want to after reading so many good reviews. I tend to avoid series, because of the time commitment, but I might have to give in to these ones. I think I’ll wait until they are all available at the library and then just read through them all at once. You did really well in 2015! I like the idea of not checking the list for progress until the year is over! I need to get on some of those Canada Reads titles. The Sweetland and The Illegal in particular. I am SO undecided about reading Station Eleven or not. Oh I’m looking forward to hearing what you think of The Secret History. I felt like I’d lived an entire life by the time I got to that one. I’m going to be looking into Sisters in the Wilderness! I think I need to try and read more classics this year. It seems like it’s been a long time since I’ve tucked into a classic that made me fall in love and I miss that feeling. I thought it was fun to see how well I could stick to my list without looking at it. We’ll see how it goes again this year! I agree with Valorie, keep Never Let Me Go on there! I was just thinking about it again the other day randomly and it’s been over three years since I read it. Thank you Geoff – I was thinking about tossing that one off the list. Now I won’t! You have two great choices for Reading New England. I’m hoping to read Olive Kitteridge myself; The Secret History is already a favorite. Of your Unread list, I would add to the recommendations for Never Let Me Go. I would say The Art of Fielding is skippable, even though I surprised myself by actually enjoying the parts about baseball. (The rest of the writing did not fare so well with me.) 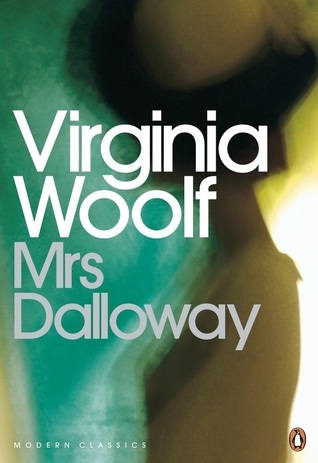 I wasn’t a fan of Virginia Woolf but Mrs Dalloway won me over last year. Happy reading! Thanks for your input, Lory! Never Let Me Go is higher up the list than it was, and The Art of Fielding has gone down. I will still read it at some point, though, since I have it. I’m really looking forward to both of my New England picks. I have wanted to read both for a long time – your challenge is the little push I needed. I’ll keep that in mind when I read it! Oh, great! I’m glad you found a copy. You did such a good job with your 2015 list! I definitely did not read all 8 Anne books last year. Hopefully I can pick it up again sometime soon. I absolutely loved All the Light We Cannot See, so I sincerely hope you get to it soon so I can read your thoughts on it! Hopefully I’ll read it this year! It’s hard to believe it’s already been a year since we started the Green Gables readalong – wow! I read Donna Tartt’s My Secret History and I didn’t like the characters. None of them seem to have any redeeming features. It was one of those books that looked interesting from the outside. Once I got started I kept asking myself, “Why am I reading this?” The lady can write, for sure. Anyway looks like there’s lots of good’uns. Oh, and for your Reading Ireland Month, I highly recommend William Trevor’s short stories. I am not a fan of his novels but his short stories blow me away. A good place to start would be his collection, After Rain. The title story is one of the most beautiful of his stories. But they are all good. I remember you mentioning him before (and I think I added him to my Goodreads shelf when you did). I don’t own any of his books right now, but, who knows, maybe I will by the time March gets here. I’m going to keep my eye out! I just checked the library – the only short story collection they have is Family Sins and other Stories. Have you read that one? They have several of his novels. Haven’t read any from that collection. Been meaning to go back and read his earlier stuff. As usual, you had lots of books on your lists I hadn’t read, although I have read most of the books you listed that you didn’t read. I was also not a big fan of The Secret History, although I loved the Goldfinch. I read it a long time ago, but I just read her The Little Friend and had a mixed reaction to it. It is definitely more creepy, but I liked it better that The Secret History. I am trying to read more Canadian authors so thank you for the suggestions. I really need to do a post like this so I can sit down with my thoughts and go over what I’m going to read this year. I’m just afraid that doing so will make it feel too much like homework! You’re so on top of challenges! I had never heard of the Woolfalong. She’s my favorite, I must participate!! I’m really bad at making reading plans and, you know, following through with them. So I’m going to try to embrace the mood reading! Love your site! I’ve been looking for a good Canadian Lit blog. I found you through your comment on Reading Matters: A year of OzLit: Reading Australia 2016. Lucky Find! I look forward to following your progress. I can almost hear my TBR lists grow. Hi Martha! I’m glad you found me, and I hope you’ll be able to find lots of good CanLit to read. I’d love to hear about any Canadian books you decide to read. Thanks for taking the time to visit and comment! Nice lists, and good job with last year’s reads. I’m a bit interested in your #11 new Canadian releases for 2016. I hope to read Yann Martel’s new upcoming novel. Also I should read a Joseph Boyden and Lisa Moore book. Which books have you liked of theirs? My favourite book by Lisa Moore (by far) is ‘February’. ‘Caught’ is also very good. I loved both books by Joseph Boyden that I’ve read – ‘The Orenda’ and ‘Three Day Road’. Loved, loved them! I was forgetting about Yann Martel’s new book. That one looks good, too, doesn’t it? Let me know what you decide to read! THROUGH BLACK SPRUCE!!! Loved it. And Olive Kitteridge. And The Secret History is one I am glad to have read (and I do NOT rec the audiobook). Now, as to Mrs. Dalloway; I had to read it twice and have grown to appreciate it. I say, just relax and roll with it and I think the film adaptation is beautiful reinforcement so do watch that if you need to. Just sayin’. Oh, why haven’t I read Through Black Spruce yet?? Am reading Olive right now. Yay! Good to know about Mrs. Dalloway. I just watched the trailer and it looks good! I did a project of 1. Mrs. Dalloway (book) 2. The Hours (book) then The Hours (movie) and had to go reread Mrs. Dalloway because I didn’t ‘get’ it on the first round and then after The Hours book + movie, it helped to reread Dalloway and then the wonderful film of it had me fall in love with VW. I really need to read more of her! I am tempted by the WoolfAlong. I attempted her bio but it was too dense with stuff I couldn’t relate to. I saw The Hours years ago, and I own the book but haven’t read it. that would be a fun project, I think! The Secret History is AMAZING. Hard to put down. I’ve been wanting to read Olive Kitteridge too–I should read my own damn books! And I love, love, love Virginia Woolf–Mrs. Dalloway is my very favorite books. I taught it several times in college classes, and helping students to understand it and like it was one of the greatest honors I’ll have, I think. Also, I have a Mrs. Dalloway tattoo. I remember you mentioning Mrs. Dalloway in some of your posts. I’d like to see a picture of that tattoo! I’ve actually started reading Mrs. Dalloway and would probably benefit greatly from attending one of your past classes. I keep finding myself wondering where I am and what is happening. I feel like I’m getting lost in her words and am missing the story. Does that make sense? Anyway, I will figure it all out! I just finished Olive Kitteridge and loved it. Now I’m anxious to see the adaptation of it – everyone seems to be recommending it. It’s so interesting that some people seem to love The Secret History and others really don’t. I’m very curious to know which side I’ll be on. I thought going in order what a good idea at the time. And, I still think so. I wanted to be able to make deliberate reading decisions, rather than just filling in the letters willy-nilly. But, I would definitely be finished now if I hadn’t gone in order!